Not everyone’s been awed and impressed by the speed and magnitude of President Donald Trump’s first month in office. The leftist “Resistance” movement is rapidly becoming desperate, including initiating talk of employing an obscure constitutional provision to “remove” Trump from office. Crackpot plots like these may be more suitable for a Hollywood B-movie script, but hard as it is to believe, some people in positions of authority (see Democrat congressmen) are taking them seriously. Apologies for the lengthy quote, but this is scary stuff here. The Democrats are talking about an incapacitated Trump? I sure wouldn’t want to be a food taster at the White House these days when Democrats are around. But upon further investigation, the provision of the 25th Amendment that Trump’s enemies are concentrating on has more to do with people close to the president declaring him unfit. The people pushing this plan truly belong in a padded room. I’m not sure how else to put it. It’s funny how liberals study every word of the Constitution when they’re trying to do something outlandish and ignore it the rest of the time. But if you get down to what they’re really looking to do – remove Trump – then this latest scheme is not all that different than the “remove Trump” movements that have already taken place in the past year. Most notable were the plots by #NeverTrumpers to lead a delegate revolt prior to and during the Republican National Convention last summer, and then the unbalanced wackos trying to somehow sway the Electoral College members to become “faithless” in December. But there were others in addition. When the infamous Trump “locker room talk” tape was released in October a number of Republicans discussed ways to yank the party nomination from him using ambiguous party rules. So in other words, getting rid of Trump is a bipartisan endeavor in some respects, though I haven’t seen any Republican congressmen getting onboard this latest quest. Thus far it’s all the last desperate remnants of #NeverTrump and of course Democrat congressmen that are speaking openly – the epicenter of hate for the new president. They’re supposedly concerned his non-presidential “behavior” is harming the country, but the real animus likely stems from Trump’s total contempt for the establishment and status quo. 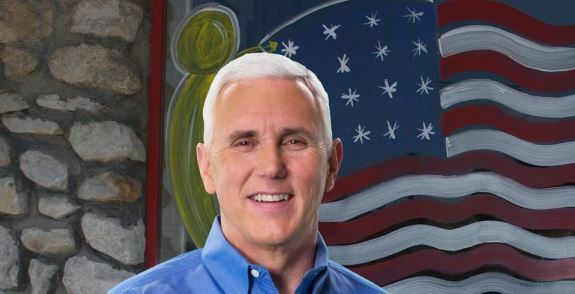 As I’ve been saying a lot lately, even if Trump were somehow removed from office by this farfetched conspiracy, Vice President Mike Pence would take his place. And further, they would need Pence’s full cooperation for any of this to go forward. Would Pence then be next? Is the nut-job left going to keep trying to get these people “incapacitated” and removed until someone like John McCain is made president? Lastly, it seems clear this movement to declare Trump “incapacitated” also comes dangerously close to making direct threats on the president. Perhaps these people need a little investigation of their own by the Secret Service. As with all the other crazy leftist-inspired hysteria, I think it will only serve to drive people closer to Trump. These are strange times, indeed. Today marks one month since President Donald Trump’s inauguration and while the media continues to moan and complain about his astonishing press conference conducted last week, some of the things he listed as accomplishments during the event should not be discounted. “I don't think there's ever been a president elected who in this short period of time has done what we've done,” Trump said. And when you look at the numbers, he’s probably right. We’ll take at face value that the Politico writers’ facts were accurate, but they’re not current. Scott Pruitt was confirmed on Friday to become the new head of the Environmental Protection Agency, so it’s 13 members of Trump’s cabinet confirmed. And at press time, I can’t say how many more tweets or executive orders have been added to the tally since the article’s original publication. The balance of the Politico story was a day-by-day summation of Trump’s first four weeks. The research is certainly appreciated but it’s a very long article and probably only usable for reference if needed. If you ever wanted a reminder of what happened on a particular day, it’s a good place to look. “We need somebody that can take the brand of the United States and make it great again. It's not great again. “We need— we need somebody— we need somebody that literally will take this country and make it great again. We can do that. Upon finishing these words, Trump announced his candidacy. And after all this time it’s become clear he meant every word. All throughout the Republican primary campaign many conservatives struggled with Trump, mostly due to the difficulty in accepting he would actually follow through on all of his “I can do everything” promises. Many of us – myself included – saw a man who’s basked in the public limelight for over three decades, one whose celebrity was much larger in the public’s mind than Ronald Reagan’s was when he decided to enter politics in his day. His face was everywhere…on magazine covers, online and needless to say, on TV. Of course Trump had flirted with running for president for years and now he was finally doing it. A lot of people loved him from day one simply because he was willing to say the things many Americans felt in their broken hearts, namely that America wasn’t “great” anymore and the decline must somehow be halted. For others it look longer to warm to Trump, to finally “trust” he was serious about running for president and frankly, to get used to his shtick. After all, Trump was delivering a conservative message yet he didn’t really identify as a conservative. And some – the #NeverTrumpers – never quite got it. They’re still questioning Trump. After saying he enjoyed the “spectacle” of Trump’s press conference last Thursday, Erick Erickson wrote in The Resurgent, “I also admit that this is not the behavior any of us should want in a President. This is not Presidential behavior. This is not behavior we should want our children to model and, like it or not, Presidents tend to be role models. “Many conservatives signed on with Donald Trump, ultimately, to beat the left. At this point, no one should underestimate Donald Trump. But I just have a nagging suspicion that the conservative movement and Christian evangelicals may have won the battle, but will lose the war in this way. Sane leader? Really, Erick? We just got through talking about plots to declare Trump incapacitated so he can be “removed” and we’re talking about sanity? Well, we now know Trump doesn’t act like other politicians; he certainly doesn’t adhere to the staid decorum of the Bush family and the Republican establishment. They “behaved” their way into political oblivion by failing to put up an effective fight against the leftist forces that were tearing the country apart. As has been obvious for most of the past three decades, the left, perhaps embodied best in the persons of brainless Hollywood celebrities and congressional Democrats, will stop at nothing to get what they want. Most conservatives now champion Trump because of his behavior. He fights, and more importantly, he keeps his promises and gets things done. He acts on his instincts with sound advice from the conservatives around him and doesn’t appear to care much about the tempest of news he creates. And then Trump even makes the press broadcast his grievances against them. It’s brilliant. While it’s certainly true that Trump isn’t perfect, his “behavior” in office has been exactly what I’d want for my kids – and I’m not talking about the brash talk or some of the tweets. But the values are there -- if you make a promise, keep it. Most of all, stand up for yourself and your country. Don’t give an inch to those who only want to tear us apart. How could we ask for anything more? Yet another area where the Trump administration will now show progress relatively quickly is in restoring some semblance of order to environmental regulation and oversight. Conservatives know that under Obama the Environmental Protection Agency was one of the most ideologically driven departments of the federal government. With the newly sworn-in director, however, that’s going to change. Naturally the leftist environmentalist freaks and Democrats concentrated almost solely on Pruitt’s ties to the energy industry and those lawsuits against the agency he now heads during his confirmation hearings. But as Attorney General of Oklahoma, wasn’t it Pruitt’s job to assert the interests of his state against what he saw as an overreaching federal government? I’m sure Democrats would much prefer an EPA director who cowers to the dictates of the central authority. If they had their way everyone would have government monitored cameras installed in their homes to ensure nothing unseemly is taking place therein. For his part, Pruitt vows to take ideology out of the equation and simply stick to the laws passed by Congress. If we learned anything from the Michael Flynn controversy last week, it’s there are many elements within the federal bureaucracy that require reform. The EPA is no different; in fact, the EPA may need the most fixing. Pruitt seems up to the job. But it’s safe to say we’ll be hearing a lot about dirty air and dirty water the next few years. The left doesn’t care about the environment half as much as it does in scoring political points against Trump and conservatives. Submitted by Charles Martel on Mon, 02/20/2017 - 13:07. From Scott Pruitt we will definitely be hearing more about dirty air and dirty water (remember the Animas River toxic waste spill in Colorado and Navajoland), and, I suspect, dirty tricks by his subordinates. He needs our prayers as much as anyone in the administration. I know I've asked this before, but why do we even give Erick Erickson the time of day anymore? By his continued "conservative" opposition to President Trump hasn't he consigned himself to permanent irrelevancy? As far as I'm concerned he's just another a**hole with an opinion that stinks.